Digital transformation changes expectations: better service, faster delivery, with less cost. Businesses must transform to stay relevant and data holds the answers. We recognize a generational market disruption in data is underway. We are in era, where data powers digital transformation and we’re here to help you intelligently lead—in any sector, category or niche. Datalumen provides you the data solutions to become more agile, realize new growth opportunities and create new inventions. With 100 percent focus on everything data, we offer the versatility needed to succeed. 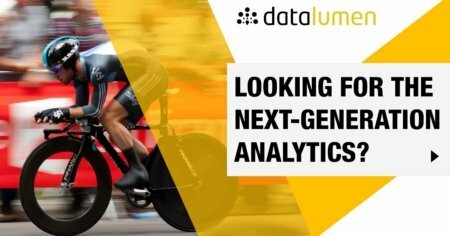 We invite you to explore all that Datalumen has to offer—and unleash the power of data to drive your next intelligent disruption. Datalumen focuses on delivering Multi-domain MDM & PIM (Product Information Management) solutions. Ensure clean, high-quality data regardless of its size, data format, platform or technology. Defining the specific requirements for “good data” wherever it’s used. And because rules and needs change and new systems can be added to the mix, truly successful data quality initiatives need to be scalable to address those new requirements. Govern your data holistically to stay compliant, reduce costs and mitigate risks. Holistic data governance means you’re managing data completely across the organizational, architectural, and political silos in your company. This requires aligning people, process, policy, and technology to ensure the delivery of trusted, secure data so you can meet industry regulations, reduce the cost of doing business, and grow revenue. If you ignore the need for data governance and management, you’re missing out on opportunities and potentially jeopardizing your business. Collaboration. Our solutions ensure your data stewards, business users, and IT team can govern data processes, policies, and standards across your organization—all in one platform. The result? Silos are eliminated. Consistent policy applications. Our solutions enable data stewards to define data governance policies, rules, and standards once and trust that they will be applied consistently across the enterprise, improving agility and effectiveness. We practice what we preach. Our same thought leadership and best practices that drive customer success are directly tied to the capabilities and innovations delivered throughout our platform. The goal of data governance is to ensure data delivers business value. After all, data is merely the means to an end—and that end is improved business performance. Sensitive data protection, intelligence and management. Data security and privacy challenge organizations to meet different but very critical and complementary issues: Data security governs access to data throughout its lifecycle, whereas data privacy defines that access based on privacy policies and laws—for instance, who views personal, financial, health, or confidential data. Both help organizations improve the control of information access to reduce sensitive data risk, ensure compliance with industry or civil regulations, and implement data security best practices. The process for securing data includes discovering, identifying, and classifying it, as well as analyzing its risk and protecting and archiving data. Once the type and level of risk have been identified, data stewards can take tactical and strategic steps to ensure data is safe. The implications and costs of security breaches are front-page news and encompass everything from loss of jobs, to loss of revenue, to PR nightmares. As the volume and proliferation of data—from cloud to mobile to social to machine—continues to grow, traditional security approaches no longer deliver safe harbor for sensitive data. As attacks have become more persistent and sophisticated, traditional security measures have become more and more ineffective at protecting critical information. And you can’t protect data if you don’t know where it is. According to a recent Ponemon Institute report, only 17 percent of IT practitioners know where their company’s sensitive structured data is located. Only 7 percent know where their unstructured data resides. While the exponential increase in the volume and proliferation of data creates significant risk, companies that focus on security the data itself will triumph in the fight for data security. By 2020, the bits of data in the world will exceed the number of stars in the universe. But big data isn’t just about the fact that there’s more data than ever before. Although the massive volume of data gives big data its name, the variety of data—structured, unstructured, machine data, clickstream data, web logs, social—is what makes big data technology so complex, and so rich with potential. So even though enterprises can run petabyte-scale data warehouses, they’re limited by their analytic platforms, which aren’t suited for the scale and complexity—the variety—of big data. More important, while Hadoop enables a paradigm shift—exponentially increasing the predictive intelligence of industries ranging from e-commerce to healthcare and beyond—the complexity of running Hadoop is often daunting. The dirty little secret about Hadoop is that it’s really, really hard to operationalize. What do we offer? Datalumen simplifies Big Data complexity. Comprehensive cloud integration and data management services for Salesforce, Microsoft, Oracle and other cloud ecosystems. Your use of cloud applications has likely grown with your business. Chances are that your company is using Salesforce, Microsoft Dynamics CRM, Oracle CRM, Workday, Netsuite, Amazon Redshift, or other SaaS applications in addition to traditional on-premise apps such as SAP and Oracle. One of the biggest barriers to effective cloud adoption is connecting, synchronizing, and relating data, applications, and processes between cloud and on-premise systems—more than 64 percent of companies indicated they face this challenge today. The added complexity makes it difficult for you to effectively share and use business data throughout your organization. What do we offer? Cloud integration and data management solutions help you tame data complexity to better leverage your SaaS investments with the rest of your enterprise applications. Data integration is the process of combining data from many different sources—typically for analysis, business intelligence, reporting, or loading—into an application. The benefit is that you gain one view of all your data and can stop wasting time looking for it in its silos. Accessing data from all its sources and locations, whether those are on premises or in the cloud or some combination of both. Integrating data, so that records from one data source map to records in another (e.g., even if one dataset uses “lastname, firstname” and another uses “fname, lname,” the integrated set will make sure both end up in the right place). This type of data preparation is essential for analytics or other applications to be able to use the data with any success. Delivering integrated data to the business exactly when the business needs it, whether it is in batch, near real time, or real time. How can you benefit from data integration? Universal access: Can you get to the data, whether it’s in a legacy database, the cloud, Hadoop, or a hybrid ecosystem? Built-in data quality: If you move inconsistent or incorrect data to a new application, will the data be cleansed? How effective will the new application be? Vendor stability: Invest with a proven vendor you know will be around in the future. Business-IT collaboration: You’ll want a tool that reduces the back-and-forth between business and IT so that businesses get exactly what they need, and quickly.